Just as Santa knows what every girl and boy wants for Christmas and brings different gifts for different kids, he also knows that a letter from Santa Claus is a special gift where a “one size fits all” approach doesn’t work. That’s why there are a variety of companies available on the web to make sure you get the Santa letter that’s perfect for your child. Here are three of the best Santa letter sites, all of which offer something special that you won’t find at the others. If you’re the kind of person who likes options, then you’ll love Santa’s Official North Pole Mail. 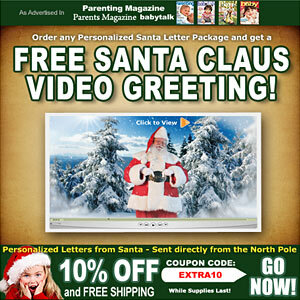 With 20 background designs and more than 40 Santa letters to choose from, including the ability to write your own letter, you’ll never have to worry about two kids in your family having letters that are too similar. And if you want to accessorize your letter, they have options for that, too, with an a la carte menu of upgrades such as Santa evidence kits, Nice List certificates, magic snow and other fun stuff. 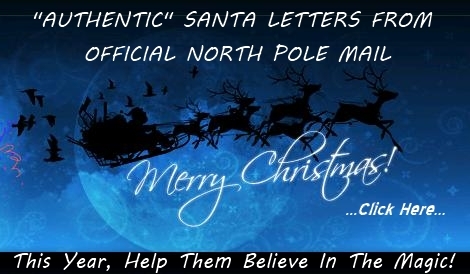 If you’re willing to spend money on your child’s Santa “letter,” Package from Santa will turn it into a complete package that goes far beyond anything you’ll get from a company that sells plain ol’ letters. Their Platinum Package is a colorful box of goodies that will impress any child. Inside the box your child will discover magic North Pole snow, an autographed photo of Santa, a sugar cookie from Mrs. Claus in a gift tin, a letter from Rudolph, a personalized Nice List certificate, a Santa Claus window decal, a piece of St. Nick’s suit, magic reindeer food in a tin and, last but not least, a personalized Santa letter. They also include a free video greeting from Santa. This is a great site for Do-it-Yourself-ers. 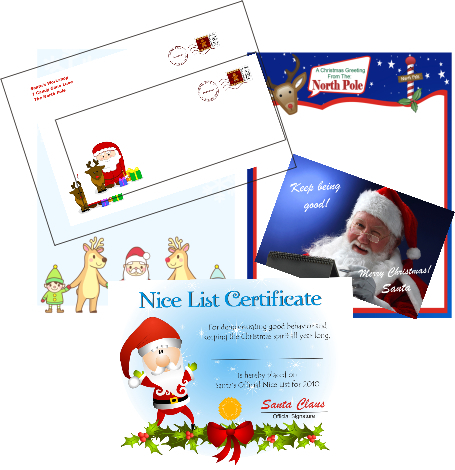 Rather than just offering the standard printable letter from Santa Claus, as most sites offering print-at-home letters do, Printable Santa Letters.com goes the extra mile and allows you to print extras such as a Nice List certificate, an autographed photo of Santa Claus, and a personalized letter from Rudolph, as well as the standard personalized letter and envelope. They also give you plenty of options for the type of letter you want to send. You can select from eight different letter options, including special letters for baby’s first Christmas and a child’s first year in kindergarten, as well as six background designs, including a Christian theme that goes well with the Christian letter option. All of these sites offer something that qualifies them as the “best Santa letter sites” for someone’s needs, and all of them can also be considered the best Santa letter sites for another reason – they will all bring a smile to your child’s face.